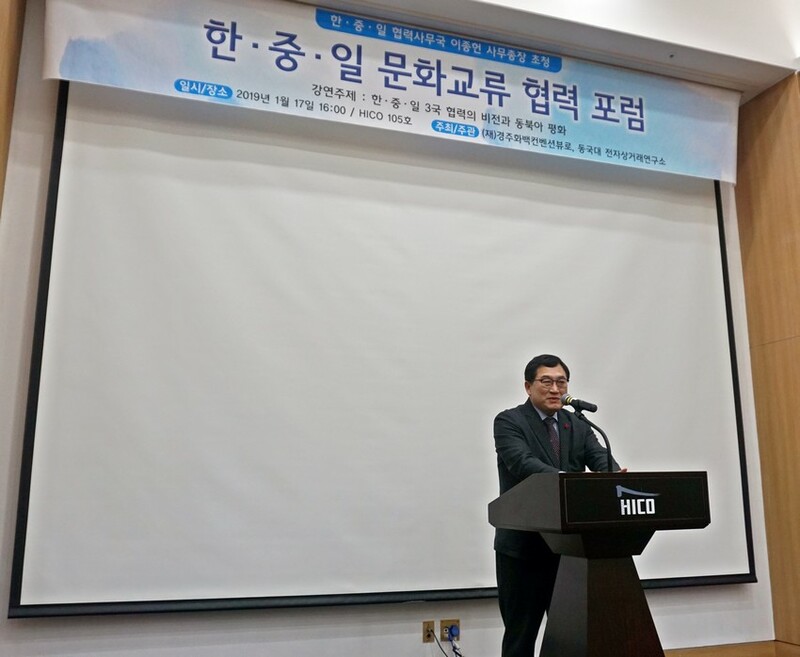 Secretary-General LEE Jong-heon delivered a special lecture at the Trilateral Cultural Exchange Forum held in Gyeongju, ROK. 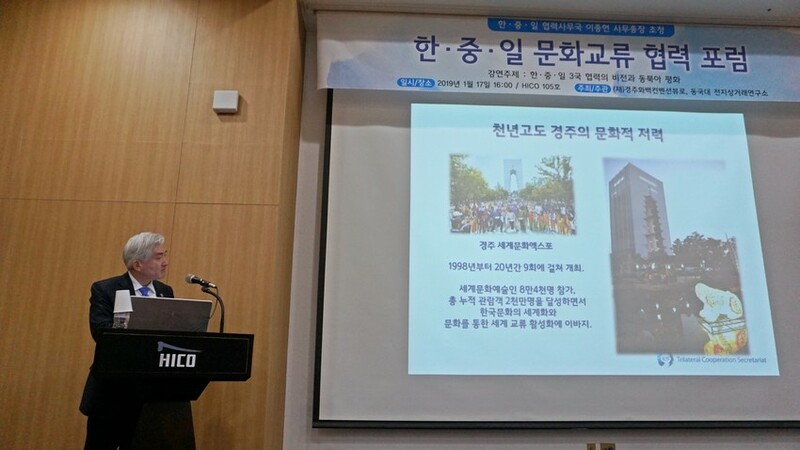 The forum was cohosted by Gyeongju City government and the Dongguk University and gathered over 50 local government officials, professors and NGO representatives. 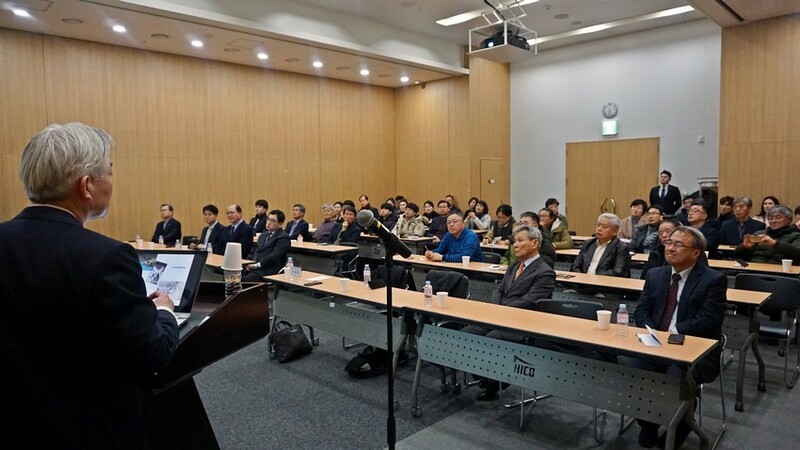 Through the special lecture, SG LEE emphasized the importance of continuous efforts to understand geopolitical and historical perspectives of neighboring regions based on a future-oriented vision. 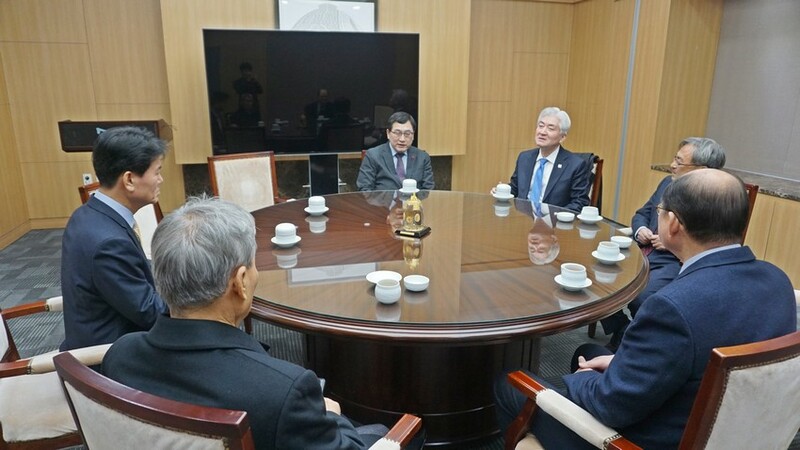 Also, he shared experiences and contributions made by the Trilateral Cooperation Secretariat to deepen the trilateral cooperation from the cultural aspect and encouraged Gyeongju city’s potential to enlarge local governmental cooperation and cultural exchange. Mr. JOO Nak-young, the Mayor of Gyeongju City, welcomed SG LEE’s visit and special lecture on trilateral cultural exchange and also confirmed Gyeongju city’s rigid will to strengthen trilateral cooperation such as cultural contents exchanges and local government exchange among ancient capitol cities (Gyeongju, Xian, and Kyoto) explaining Gyeongju’s long history of CJK cooperation since the Shilla Dynasty. Both sides agreed to keep facilitate cultural exchanges among local governments and maximize the substantial cooperation through information sharing.